Frame Size measures 8" x 10"
I love this teacher plaque. I give every year to my girls' teachers. I know they sure love the gift as well as feel appreciated. One of the teachers told me one time that she had never received anything like this and truly loved this gift. She was so amazed and couldn't believe that a parent would do this for her. 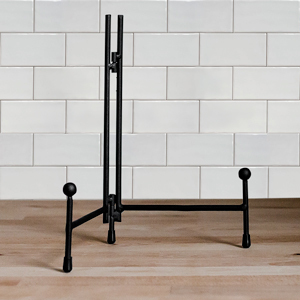 This product is SO NICE....I was really impressed when I opened it up. I would definitely recommend this!! VERY nice...much nicer looking in person. Our Personalized Teacher Gifts make great appreciation gifts for teachers of any Student. 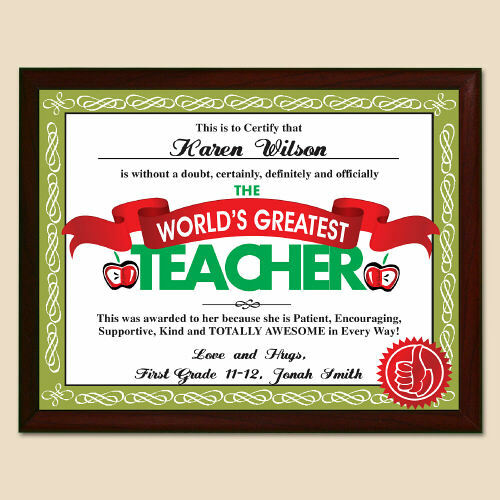 Get your Personalized Teacher Gift today & Say Thank you for the wonderful job. Personalized Teacher Gifts. Personalized Fast & Easy.